1. Super Secret, FUN Project!!! Happy Tuesday! I hope you have all had a great week! Our kids are on Spring Break, and it has been incredibly quiet at our house while they’re out enjoying life! I planned on writing an individual post about this project, but now that it is public knowledge, it’s easier to just talk about it. <3 I have made some incredible friends and acquaintances through the online sewing community, including Christine who runs To Do Tuesday. One of those friends is Amanda, who owns Mily Mae Fabrics, which opened 1-year-ago this month (Happy Anniversary, Mily Mae). Amanda’s birthday is also in March, and she is currently expecting her fourth child. Mily Mae Fabrics is doing great, but the downside is Amanda doesn’t have time to sew much anymore. Enter Amanda’s best friend, partner in crime, and cutting buddy, Katie, and an amazing group of women from all over the nation who are part of the Mily Mae community. Katie formed a secret group on Facebook, we all talked, coordinated, and got busy. 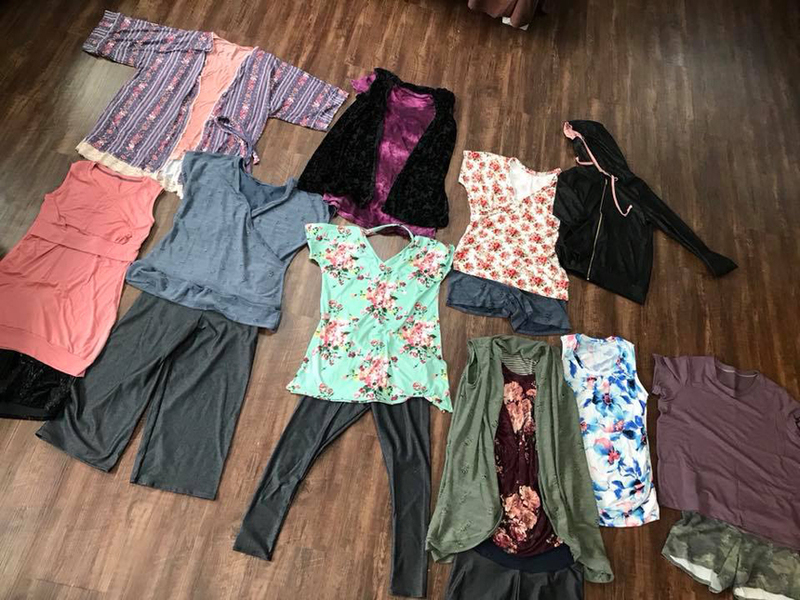 Each of us sewed at least one item of maternity clothing for Amanda, and we had a Facebook Live reveal of all her goodies last Friday morning. It was such a fun project to participate in! I am not sure of the final count of items she received, but it was a lot! I know there were still items trickling in after the live reveal. Maternity sewing was an enigma to me prior to this project, and it was so much fun learning how! 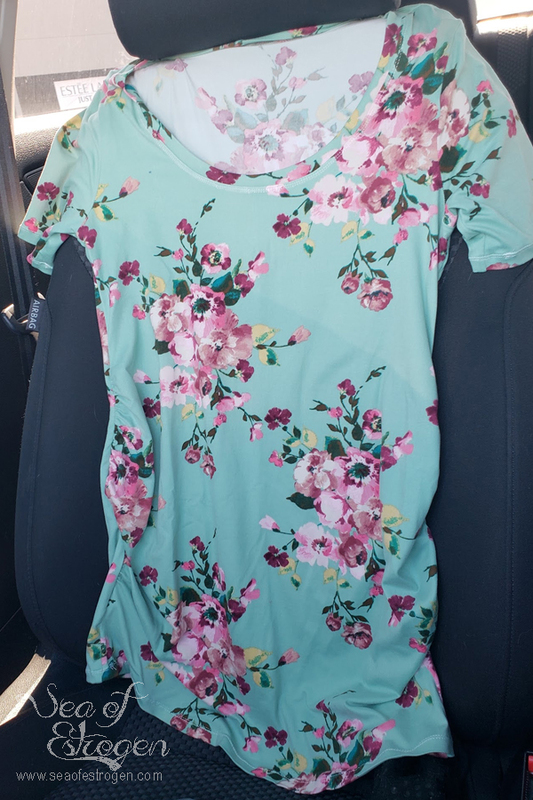 I managed to get two shirts cut and mailed to Katie for Amanda’s surprise party. I still have one top cut out and a pair of pants that I didn’t get sewn together prior to the deadline, and I can’t wait to get them finished and mailed off to her! Patterns for Pirates came to my rescue with the Layer Me Up Shirt with the Maternity Add-On to make these two shirts. The one on the left is made out of fabric from Mily Mae, and the one on the right is an Art Gallery knit from my stash. The Made for Mermaids pattern test I was working on was the brand new Mama Adeline. I tested it in both my size and Reagan’s size (who is very happy to be out of the girls sizing). The pattern, along with the girls, baby, and dolly versions, released today, and they are an instant hit! I do have a blog post in the works for Adeline, but for now here are a couple quick pictures. 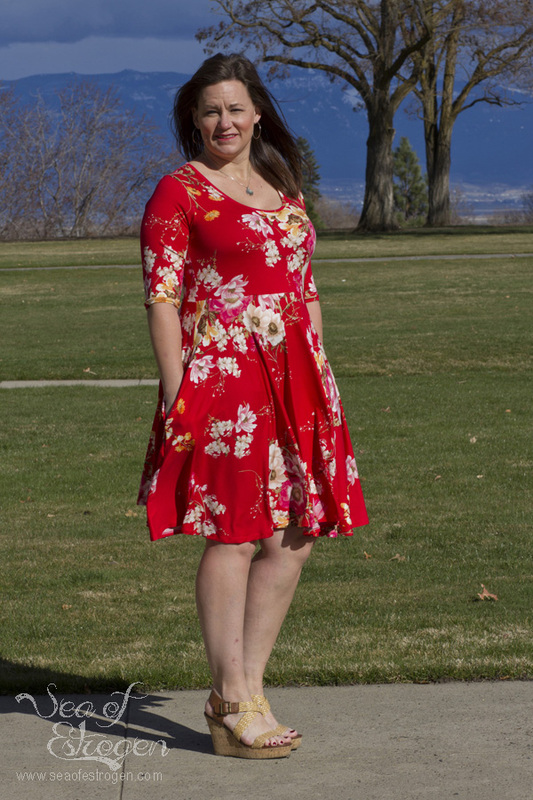 For Reagan, I made the half sleeve, scoop back, half-circle skirt maxi dress. It is by far my favorite item of clothing I’ve made for her. My version is the half sleeve, full circle skirt, scoop front, keyhole back, dress length. These Made for Mermaids and Patterns for Pirates ladies are slowly converting me to be a dress-wearer! I love it! 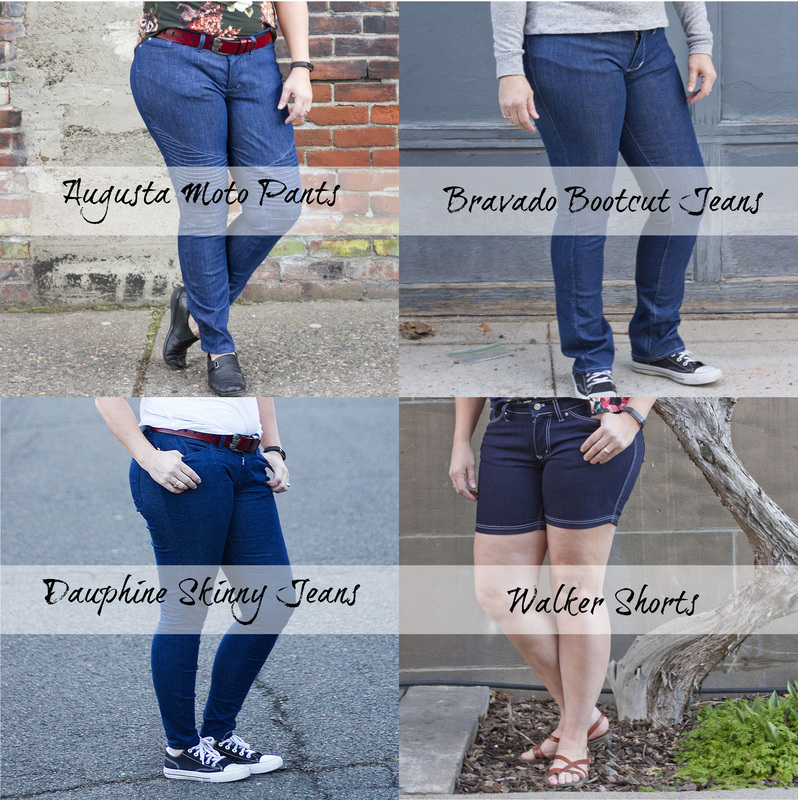 The DIBY Club Denim Collection has been released, and I wrote a blog post about all four patterns: DIBY Club Denim. 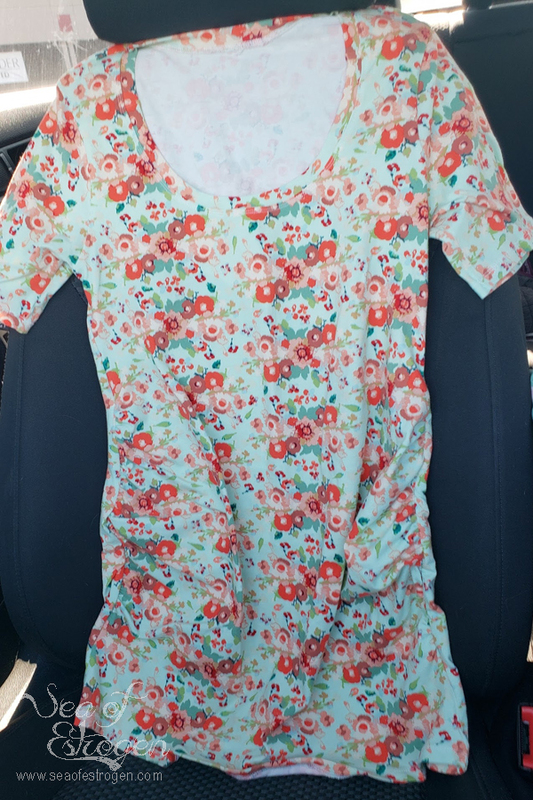 This week, I added another dress pattern test, and I am working on making a vest out of some quilted knit from Mily Mae Fabrics. Finally, I am trying to add some of my old Work-In-Progress items a couple at a time to get my backlog cleaned out. Oh my goodness, the maternity surprise party is genius! What a special gift! I am in love with Reagan’s dress; that is spectacular and she looks fantastic! Wow! Love your dress too, it’s so fun and flirty looking! I will definitely have to check out the jeans post! Wasn’t it just the sweetest idea? Amanda does so much for so many, that it just felt great to give back.